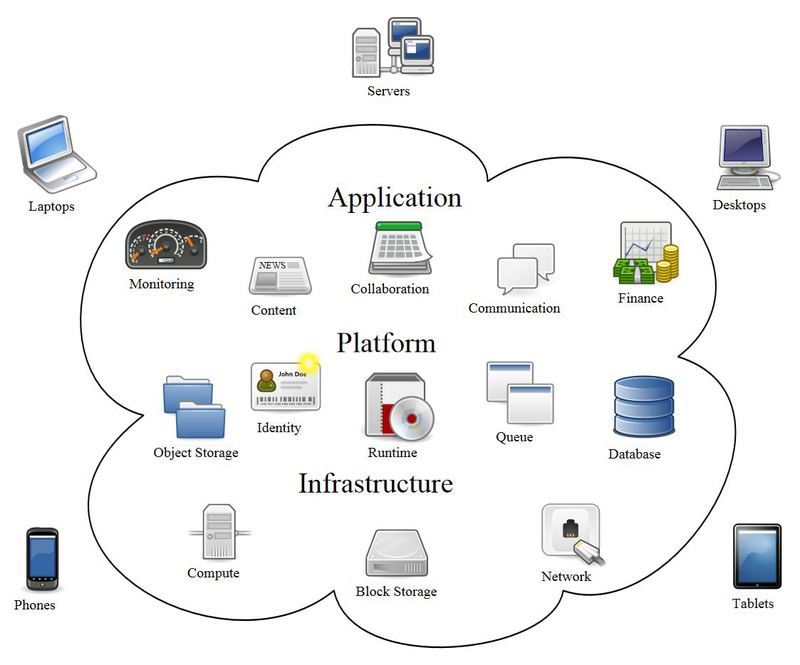 By now I think we can safely say that most people know what Cloud computing is. They may not be able to explain it in exact detail, but they have more than likely used it whether they realize it or not. The fact is we’re surrounded by clouds. The idea of cloud computing has been around for quite a while. Simply put, it’s the idea of using a service outside of your desktop computer. For example, one form of cloud computing is if you use or have used an email service like Gmail. This system allows you to log into your email from ANY computer. This means the actual Gmail program is not located on your computer but on a server living somewhere in Google-landia. Once you use your username and password, that server pulls up your emails and other stored files through an Internet connection. Remember that snazzy USB or flash drive you used to use to share pictures, music and other files with your friends? If you store your files with a cloud storage service such as DropBox, you probably won’t need it anymore. You simply add individuals to share your files with or keep them private. The best part is your files are – again, accessible from ANY computer. Recently, the cloud has blossomed into a big business for companies like Apple, Amazon, Netflix and Google. They have given consumers a way to store, manage or download files from servers using almost any type of device like a smartphone or laptop. Streaming music, movies, downloading applications and collaborating on documents has never been easier. If you’re on a social media site like Facebook, Twitter or Instagram all the images and posts you share with your friends are stored on their servers. Some users post everyday, others very little. Their servers accommodate the user surges and lulls, so when you see that one of them is down that means they’ve met their “room” capacity. Social sites also maintain and update their platform so users can continue to upload images, post messages and share links. There’s no doubt that clouds exist in almost every aspect of our lives. Frankly, cloud computing is so widespread and evolving so quickly and furiously we should actually be calling it a term most of us Southwesterners know: “A haboob.” Yep. That’s it… “A Haboob of Technology.” You heard it here first folks. No need to credit us, just pass it along. If you’d like to know more about the cloud and how it affects you or your business, shoot us an email or give us a call at (915) 351-8440. Houston Chronicle: Will Cloud Computing Destroy What is Left of Your Free Time?